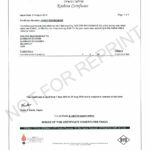 The perfect macadamia nut can add huge value to your business, while substandard quality can cause serious harm to your brand and reputation. 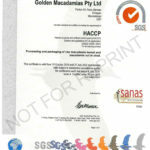 As a result of this, quality control has become a major focus point at Golden Macadamias. 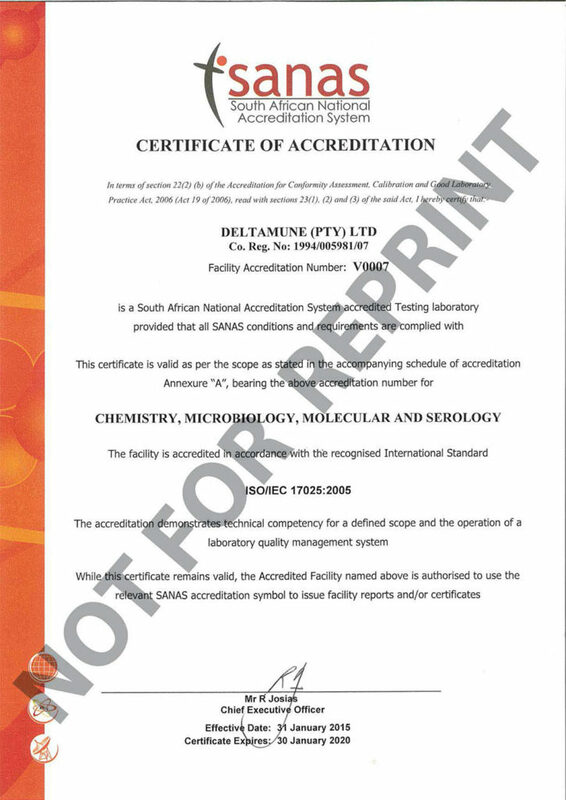 We set the benchmark on consistent quality Macadamia nuts as a group of highly trained specialists manages every step of the value chain, to give our customers an unrivalled assurance on quality and food safety. In the past, security of supply and price stability has been the biggest challenges, but macadamias are now grown on a global scale and volumes are expected to increase rapidly over the next decade. Quality control and food safety will become the biggest challenge in this more fragmented industry. The reality is that many suppliers and traders are focused on short term profits and don’t have the industry’s long-term sustainability at heart. 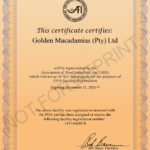 Golden Macadamias understands the importance of sustainability and delivering a quality product. 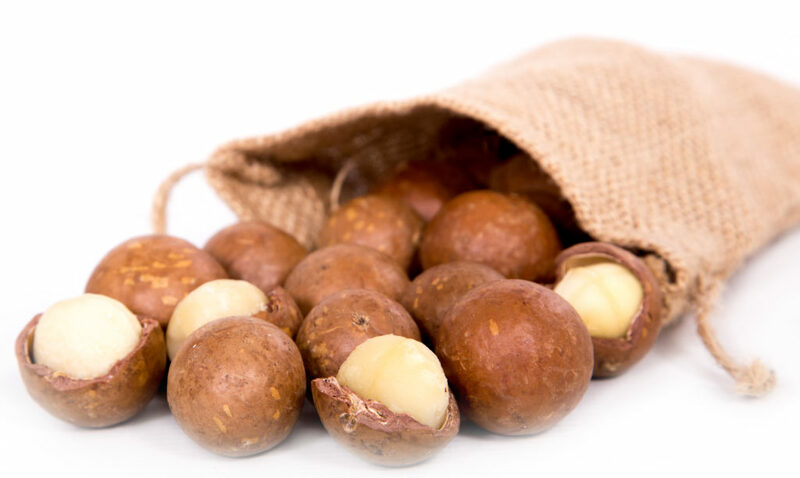 Macadamia nuts are widely regarded as the most sought-after tree nut in the world. No other snack food can fully compare to the rich, creamy flavour and crunchy texture of macadamia nuts. 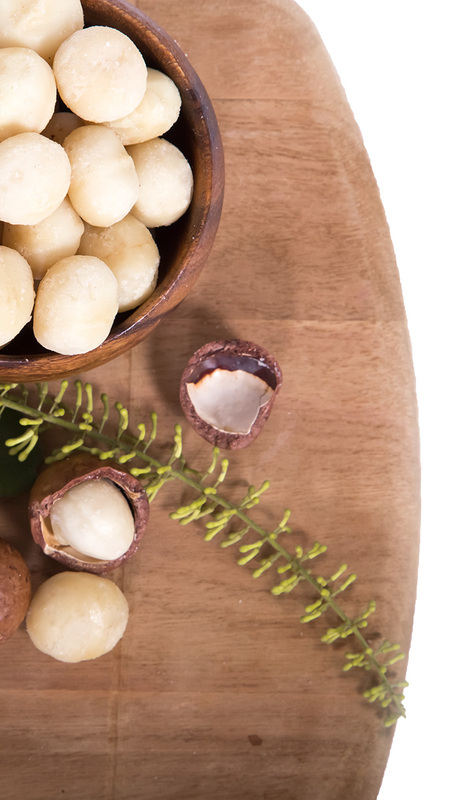 Macadamias are universally considered as a valuable gift to special friends and family. It is thus no surprise that in-shell macadamias have become very popular in China. It is, however, important to note that all Macadamias are not equal. The problem with in-shell macadamias is that the naked eye cannot see inside the shell, and thus cannot grade out bad quality, non-edible kernel. 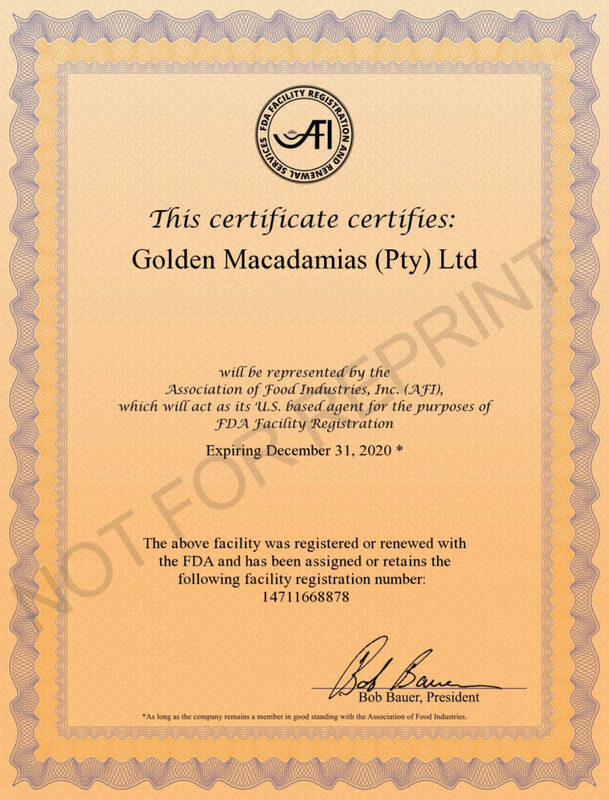 Golden Macadamias is the undisputed leader in the supply of quality in-shell Macadamia nuts. 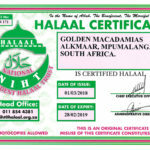 What makes Golden Macadamias unique is that the company is 100% owned by Macadamia farmers, who follow strict orchard management programs to eliminate defects. All orchards are continuously nurtured and monitored for pests and diseases. Only the best quality farm deliveries are allocated to our in-shell packing facility. Here we have the ability to custom pack special quality containers according to the customer’s exact needs. Before packing, all the nuts move over a sorting belt where all defects, like damaged or split nuts, are removed by hand. The nuts are then sorted into 3 different sizes by rolling drums. After sizing, the nuts are automatically weighed to exactly 25kg and packed into polypropylene bags imprinted with the Golden Macadamias brand. 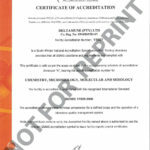 A final verification is done on every batch to ensure that only the best quality is packed for our valued customers. The new generation millennial consumer wants to know exactly what he is eating and where it comes from. More natural, less processed is the key to grow your brand in the future. 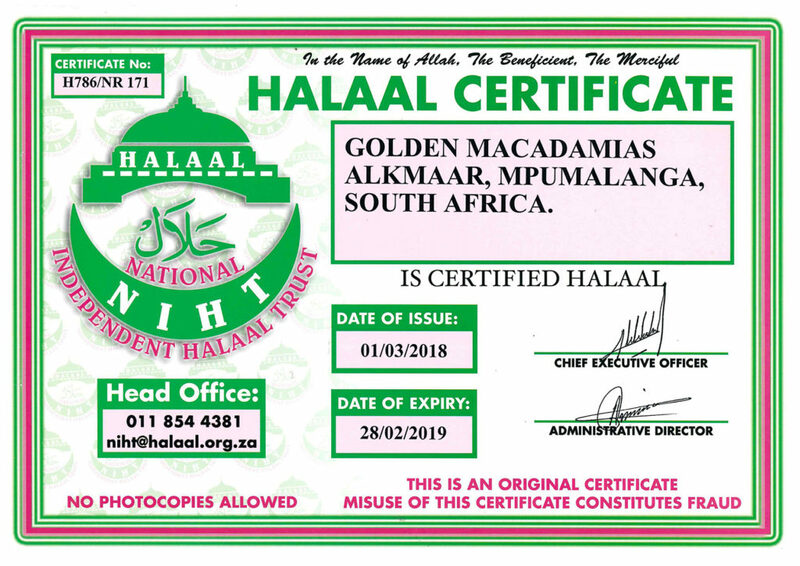 Golden Macadamias will fit particularly well into this market trend, since our product is 100% natural and unprocessed by its very definition. We only receive raw materials from our own member farmers where we have full control on every aspect of production. All our farmers operate strictly under good agricultural practices, and most are Global GAP accredited or in the process of becoming accredited. Food safety also starts on the farm, and we work very close with our farmers to ensure that they produce safe food free from pesticides and pathogens like Salmonella. 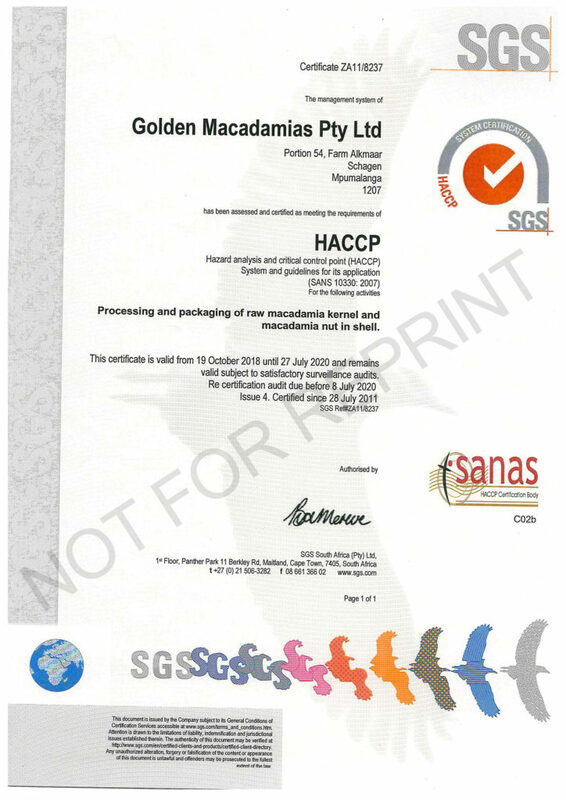 Our factory has world class standards and is the only Macadamia processor in the world that is HACCP, BRC and AIB accredited. 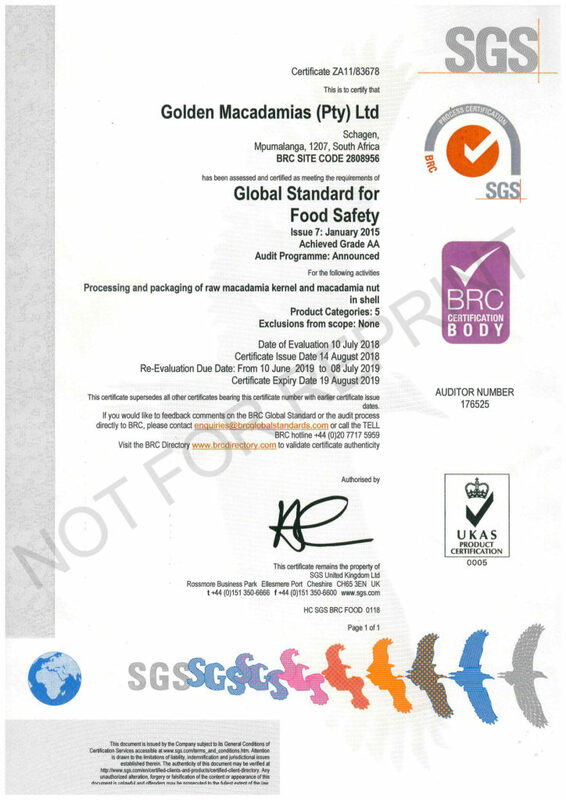 We supply all the strictest markets all over the world and are regularly audited by our suppliers, who always draw confidence from our commitment and obsession with food safety. 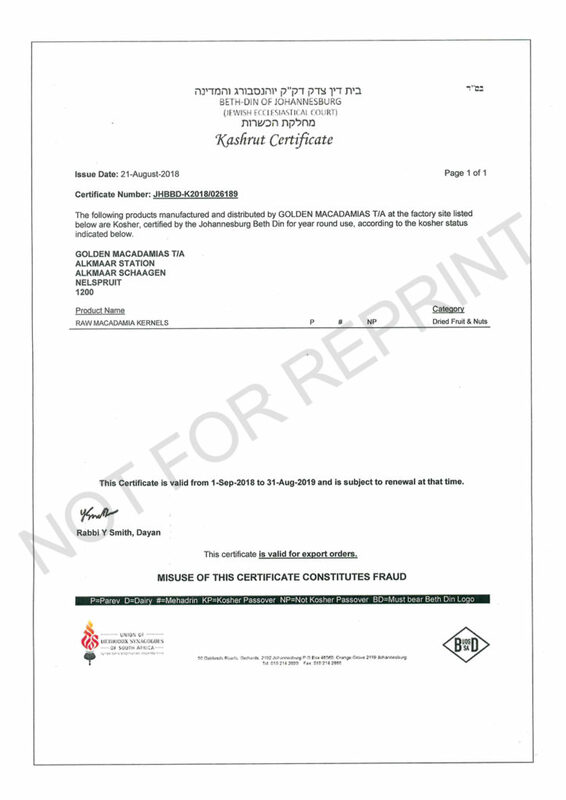 Golden Macadamias have developed a system that ensure a sterile processing environment and all raw materials and people entering the facility have to comply with our code of conduct. 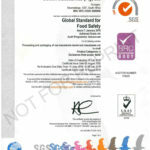 Our flawless food safety record is a testament of our commitment and control throughout the processing chain.